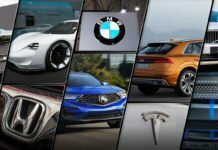 Not a single manufacturer presentation goes by without the word “value” being used profusely. 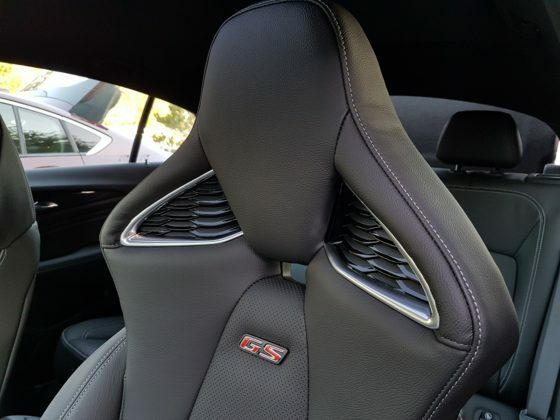 Value is somewhat subjective. 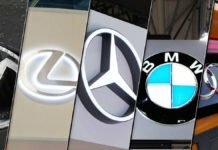 That’s not because some vehicles we test don’t have enough equipment for the price, but rather that the equipment is not what people REALLY need. 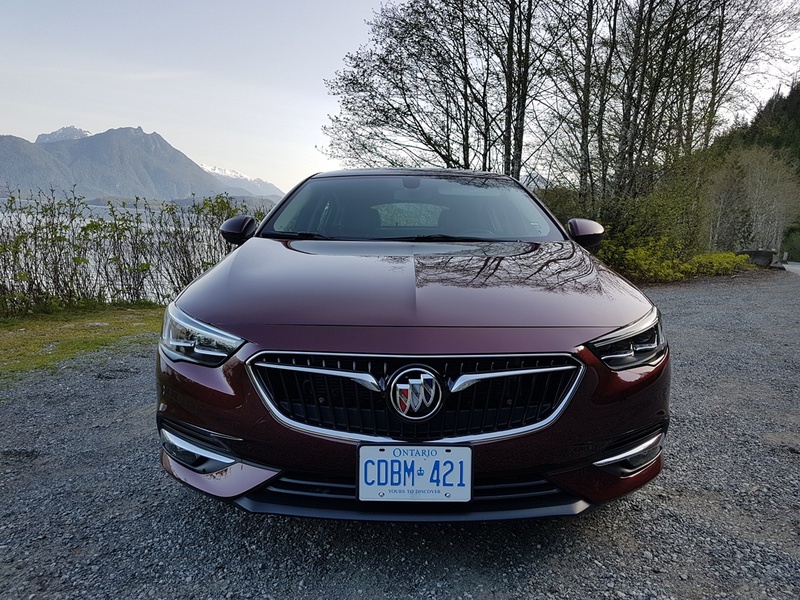 My last drive with a Buick was with the Enclave, a very capable SUV presented as “value-packed” but that came with a presentation with strong emphasis on an “ionizer” gizmo that cleans up the air in the cabin with negatively charged particles. 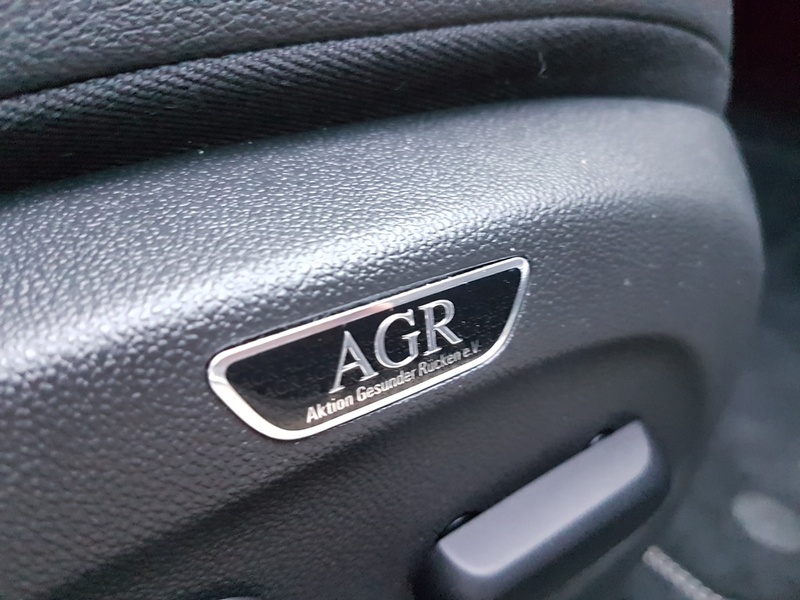 That is certainly interesting, but it is difficult to qualify as value for the average person. 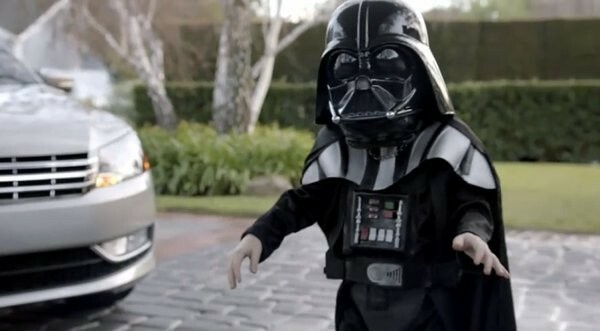 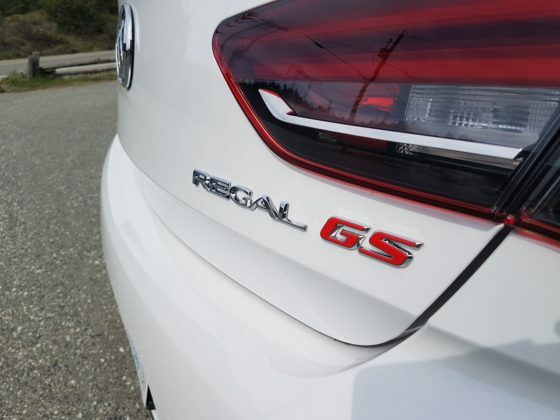 The Regal GS carries the 3.6 litre V6 powerplant, which puts out 310 horsepower and 282 lb-ft of torque. 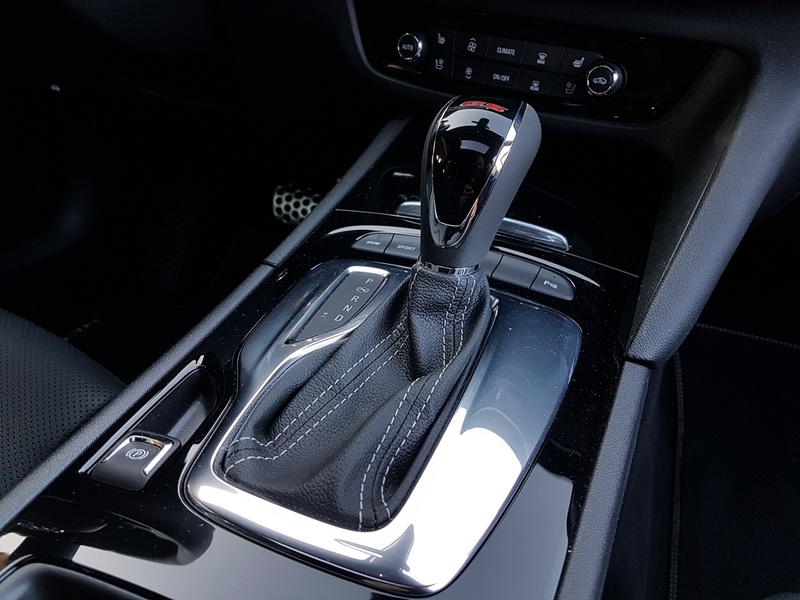 It directs the power to the wheels using a 9-speed automatic gearbox. Upon burying the accelerator in the floor panel for the first time after stepping inside the GS, I was forced to admit that this gearbox could be less of a handicap in the power delivery. The upside, though, is that the fuel consumption was much lower than I had anticipated, even when considering the fact that we have been trying to exploit every bit of whatever the road threw at us, with an average of 8.5 liters to 100 kilometers. 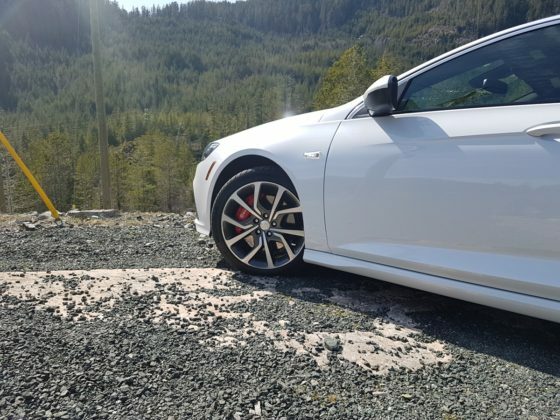 The powertrain being what it is: sufficient, but not overwhelmingly fun, there was an aspect where we had the most fun – handling. 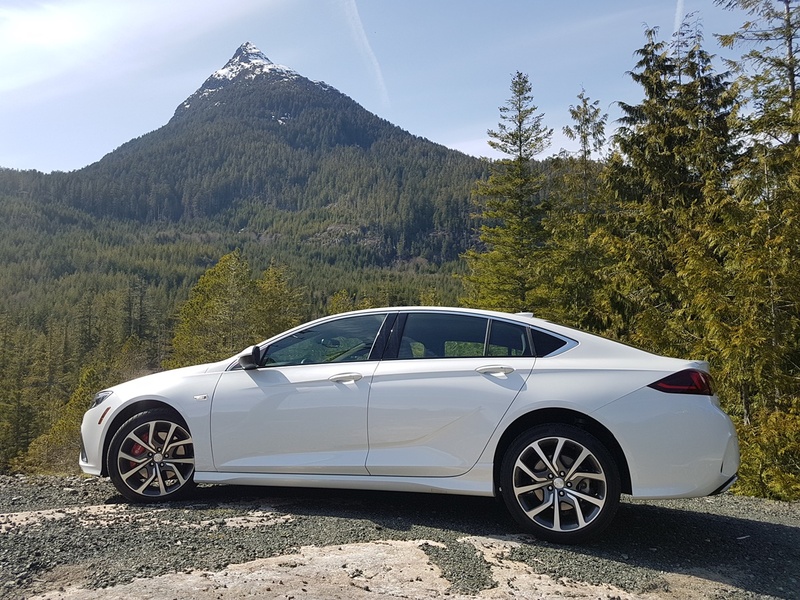 The GS has AWD, which is not only essential between the months of November to April in eastern Canada but also a key feature for driving dynamics. 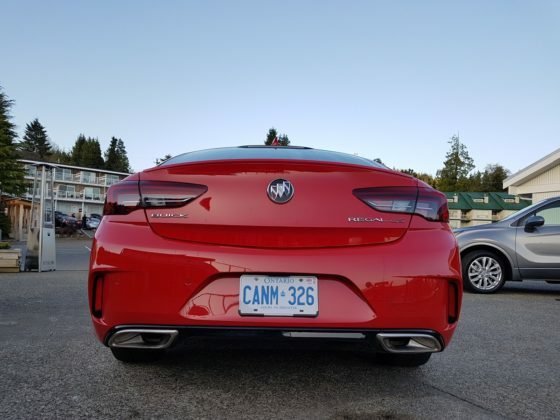 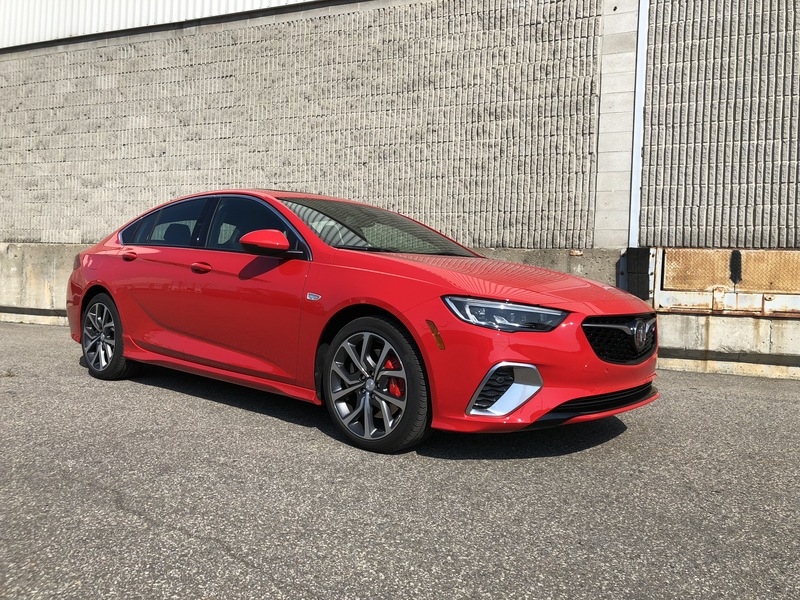 But Buick also gave the Regal GS performance-oriented components, such as four piston Brembo front calipers combined with larger rotors than the ones in the Sportback model, a 5-link rear suspension, and continuous damping control (CDC). 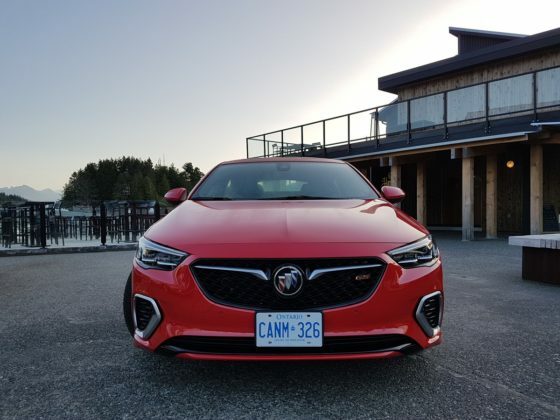 This last feature was the icing on the cake – according to Buick, it adjusts damping 500 times per second while driving. 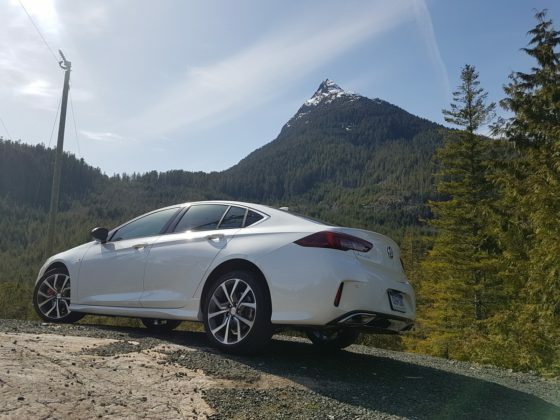 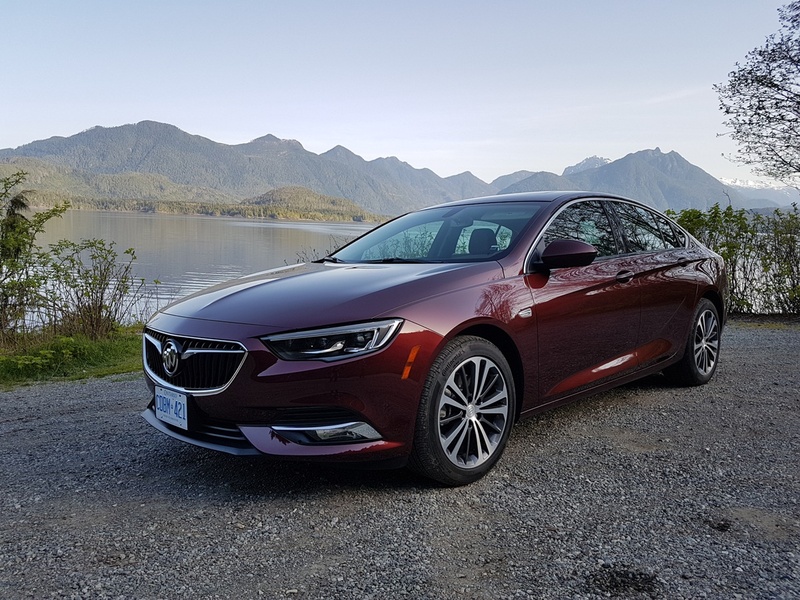 It enabled us to take on the turns, curves, and rough road conditions of the path to Tofino without the body roll that usually comes with it, all the while keeping the ride confortable for the passenger. Braking is superb, and the steering provides just the right amount of feedback to be able to “point and shoot” the GS wherever the driver needs it to go. The large “A” pillar seemed to be in the way often times, blocking some of the view in tight corners. 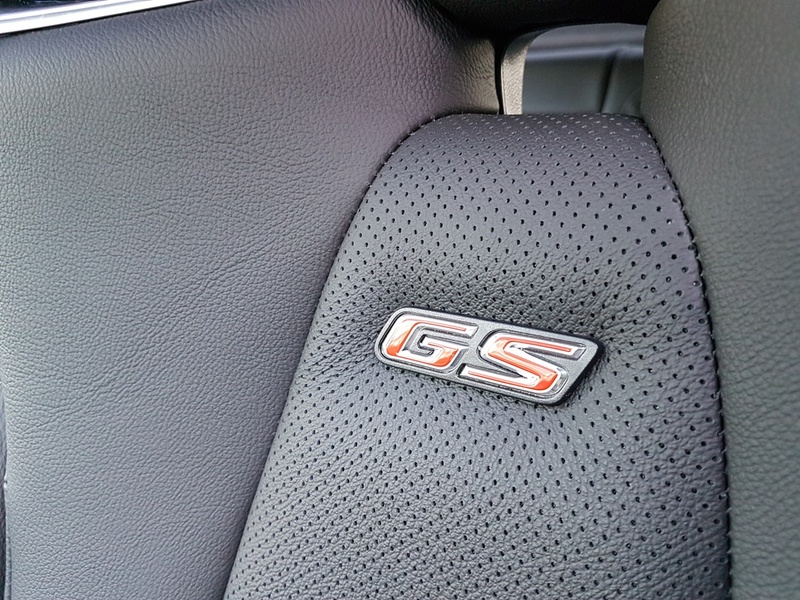 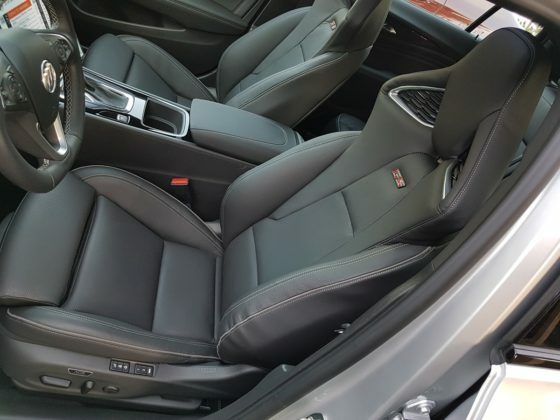 Part of the ride’s comfort is ensured by the surprisingly snug and supportive seats Buick picked for the GS. 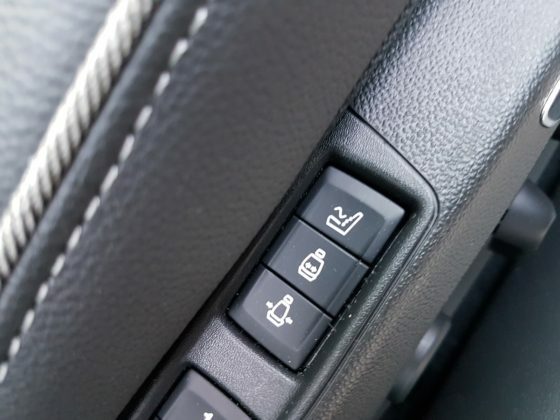 These feature power adjustable side bolsters keep the driver and passenger snug; they also feature a massaging feature that is quite relaxing (if you’re into that sort of thing). 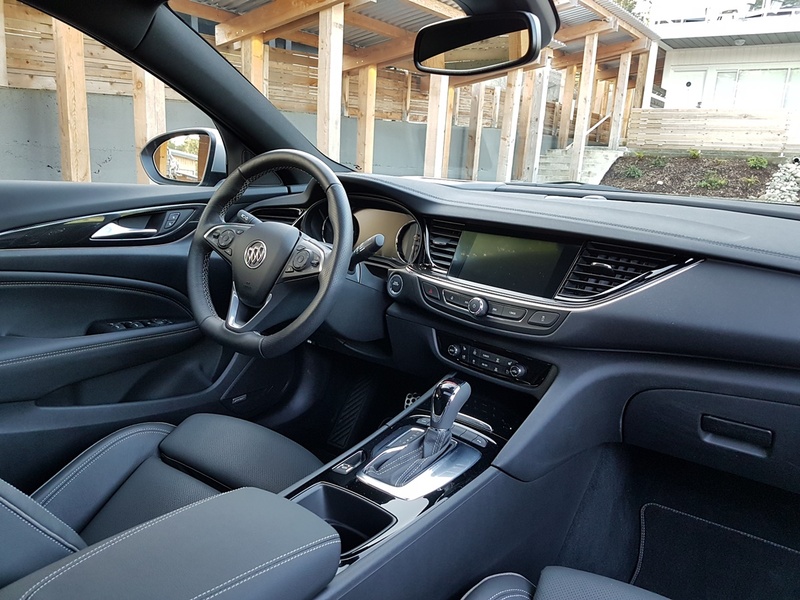 Aside from the seats, the rest of the cabin has the regular Buick feel: nothing too fancy and a little boring, but well assembled. 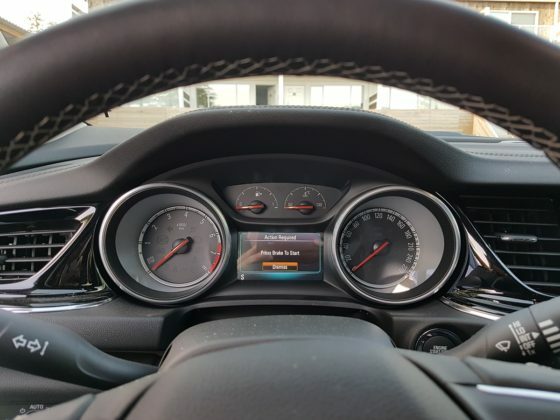 One will find the usual refinements, such as the 8-inch touchscreen, and technology, such as Apple CarPlay and Android Auto. 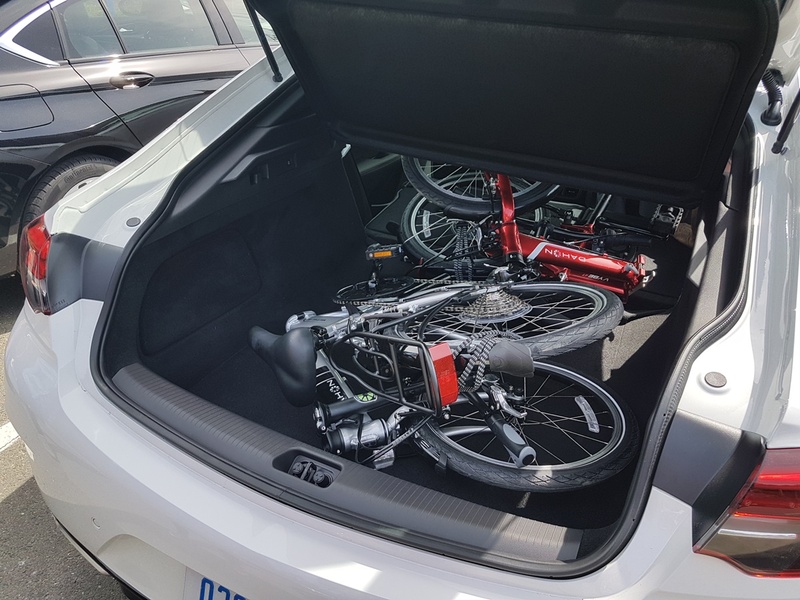 However, it’s when one wanders in the back of the GS and opens the “trunk” that the Sportback configuration makes sense. The GS carries 892 Litres of space in the trunk, and the folding seats will unlock 1719 Litres of total cargo space, which is stellar for a sedan-shaped car. 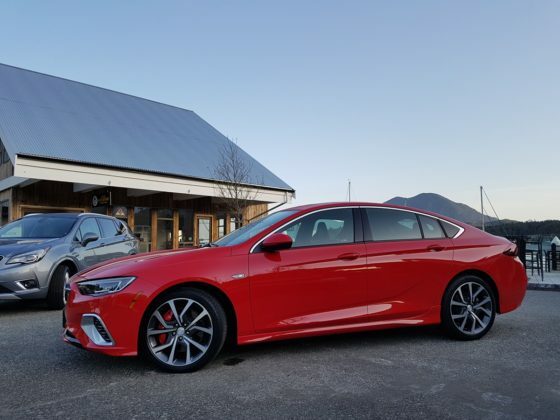 Safety-wise, the Adaptive Cruise Control, Forward Automatic Braking, Side Blind Zone Alert, Lane Keep Assist, and Front Pedestrian Braking are available but not standard. 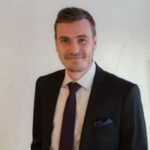 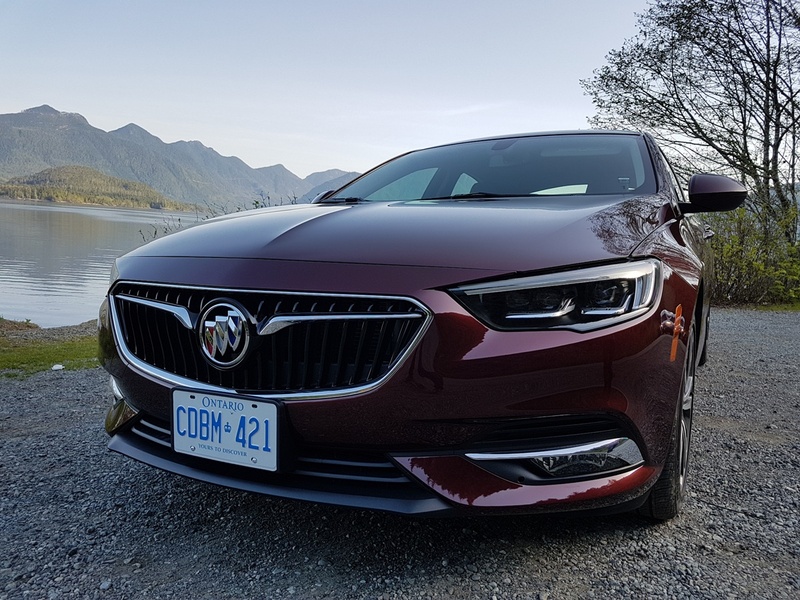 However, Buick brings something new and unexpected on the standard equipment list in the event that the last safety feature listed above fails. 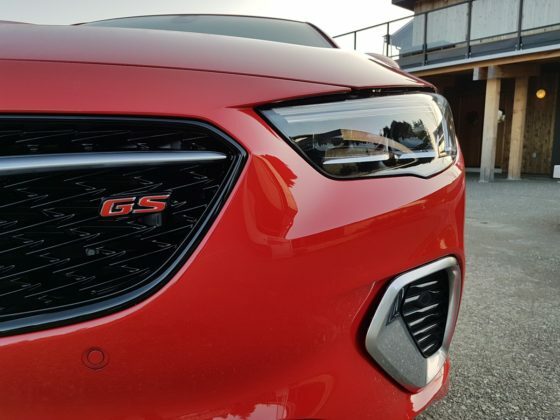 The Active Hood is geared with pyrotechnics that raises the rear of the hood slightly (approx. 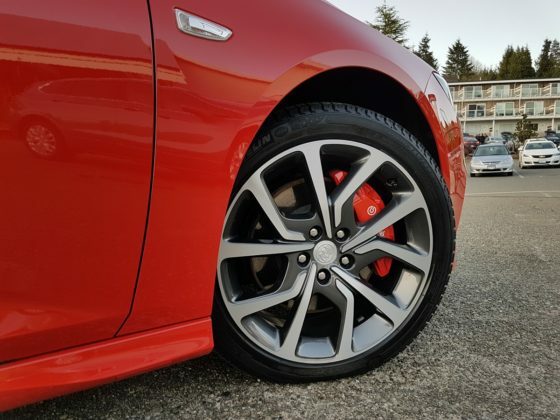 90mm) milliseconds after an impact is detected, providing a softer “landing” for the pedestrian. 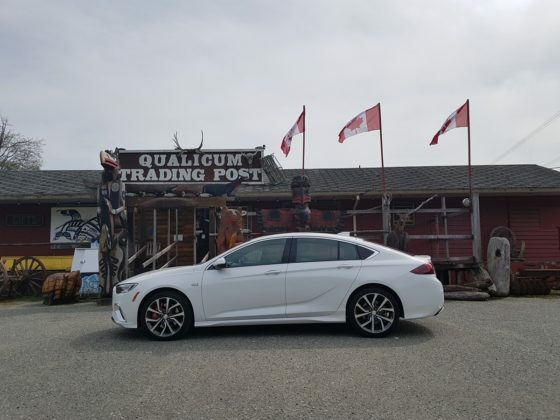 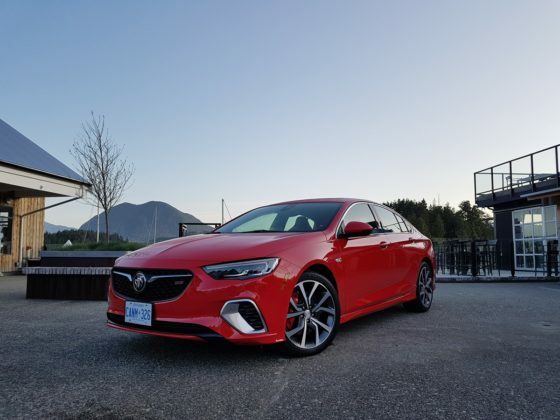 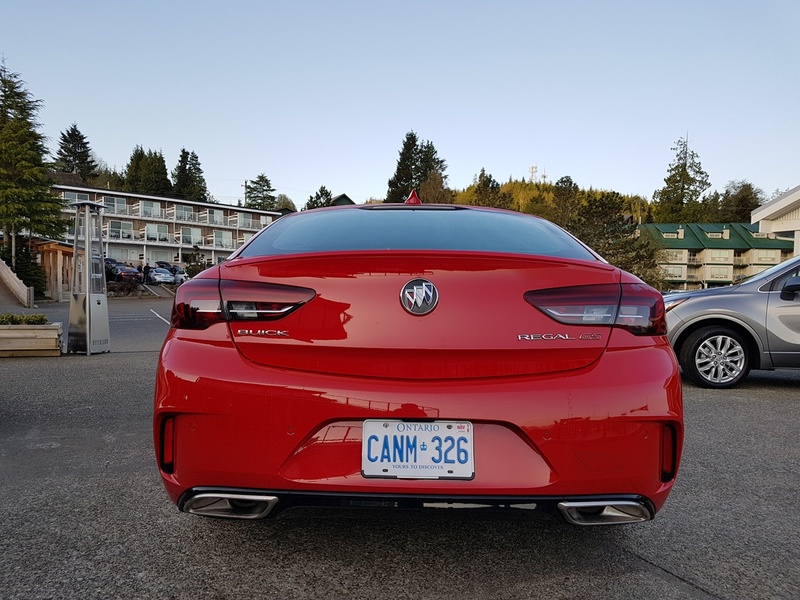 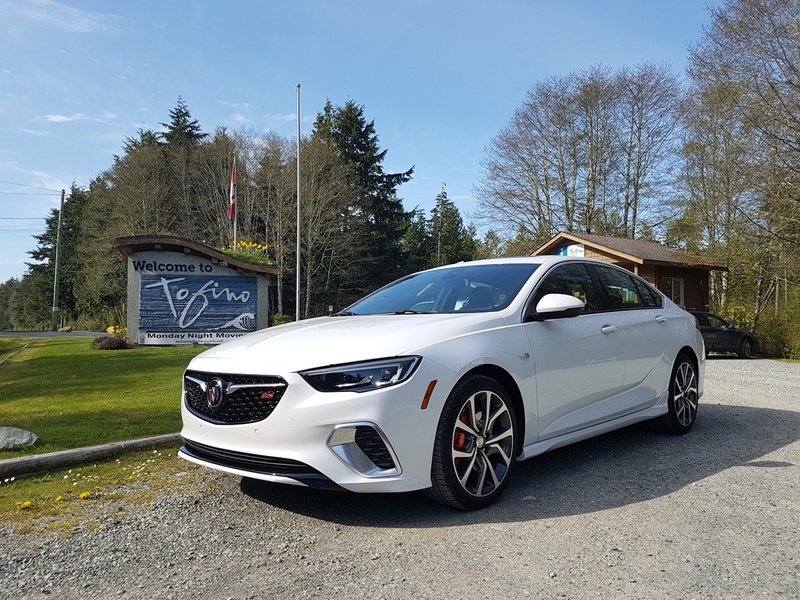 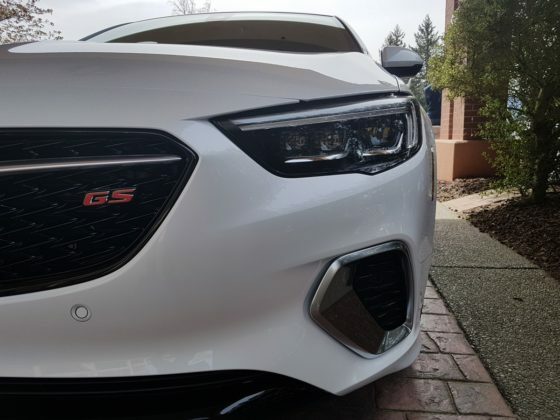 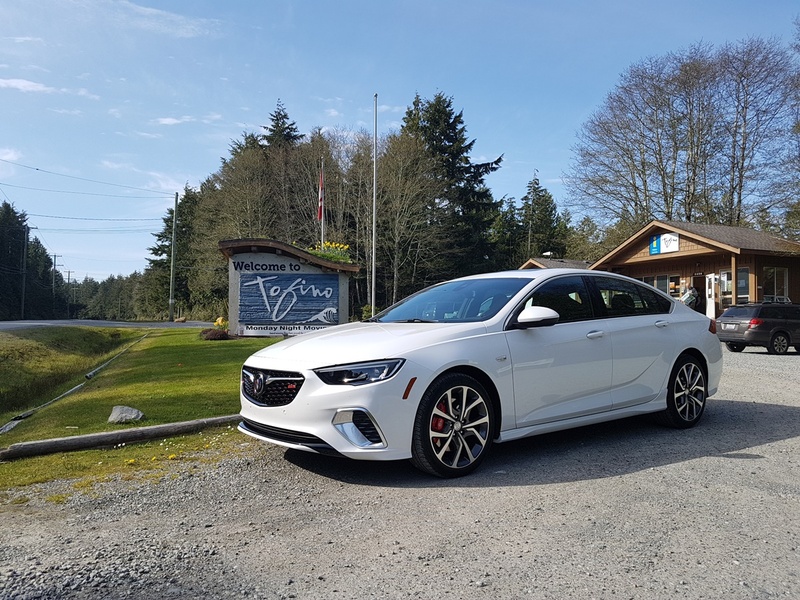 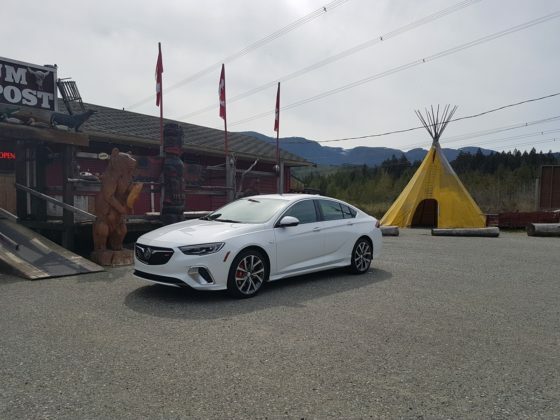 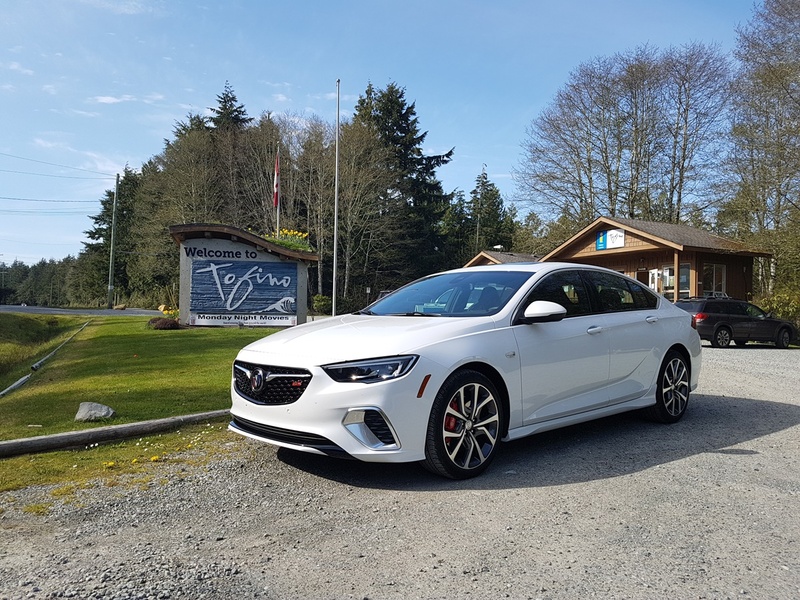 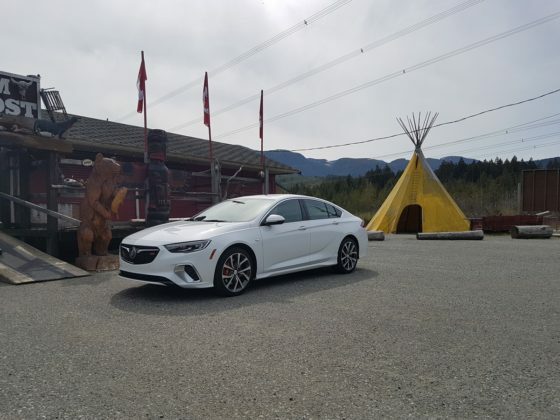 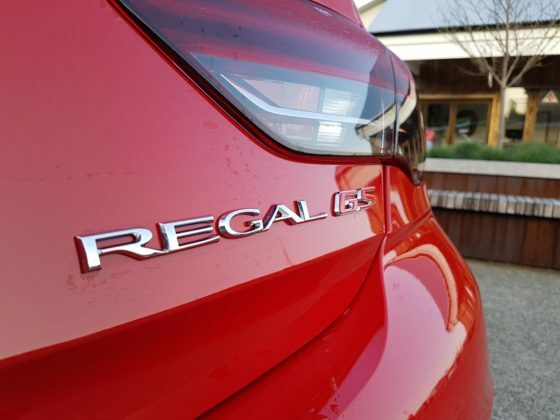 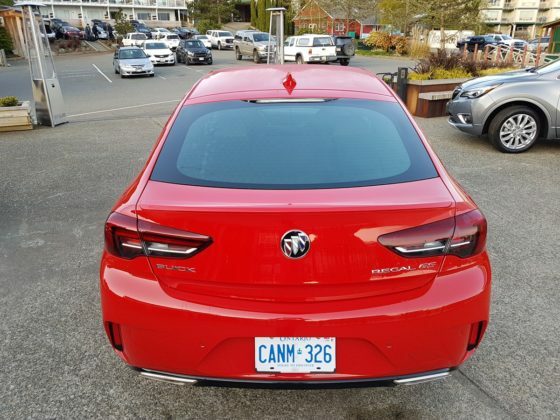 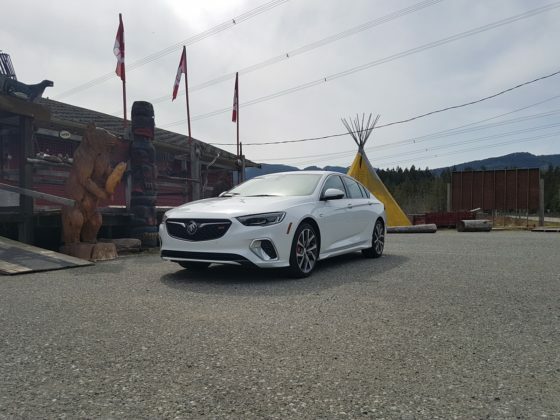 The 2018 Buick Regal GS doesn’t have the Grand National smell we’ve been longing for, but with a starting price tag of $43,845, it has the chassis, suspension, and braking of a talented sports car that Buick deserves, with the “value” that we like to see in a luxury midsize sedan. 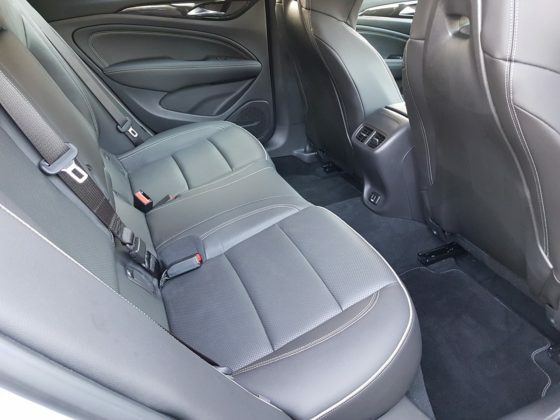 Plus, it will haul your golf bags to the game and massage your back afterwards.